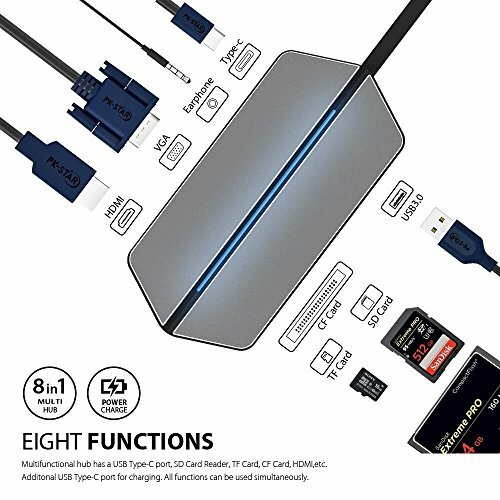 8-in-1 USB-C HUB is an ideal solution for laptops and other devices with an available USB-C port. It is widely used for extremal storage devices, card reader, computer power source adapter and USB-C output port, expanding your computer's connectivity and functionality for ultimate flexibility. •Support VGA and HDMI output at the same time: Achieve dual-screen display and supports audio and video separation output. 3 card slots accessible, but can only work one card slot at any time due to the power requirements.